Srinagar: “Policy of suppression and repression in Jammu and Kashmir has failed to yield any positive results for India. Through the elongated period of ordeal and barbarism since 1947, India is currently facing a powerful people’s political movement for right to self-determination in every nook and corner of the state of Jammu and Kashmir,” said the Hurriyat Conference (G) chairman Syed Ali Geelani while paying tributes to militants killed in Shopian encounter. 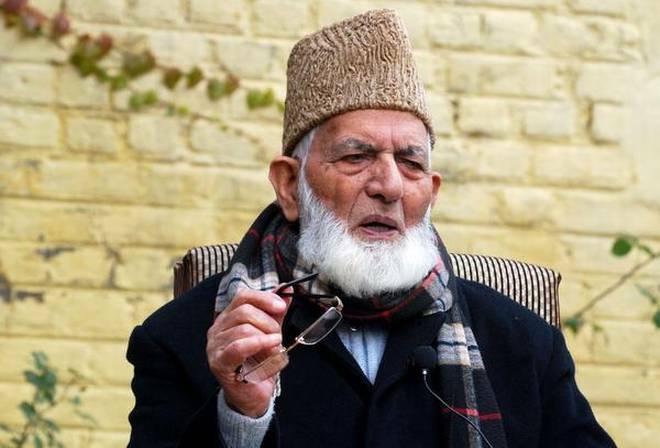 “India is suffering from arrogance of power and has tried its best to muzzle our voice, but has utterly failed to do so, and the Indian might can never deter us from our much cherished goal of right to self-determination,” Geelani said.